Momma Told Me: Never dial when drunk. Oh the things one finds when roaming the listings of Amazon Prime late at night. We don't have cable, so even mainstream shows that may have been heavily advertised on their networks often escape us for months or years at a time. 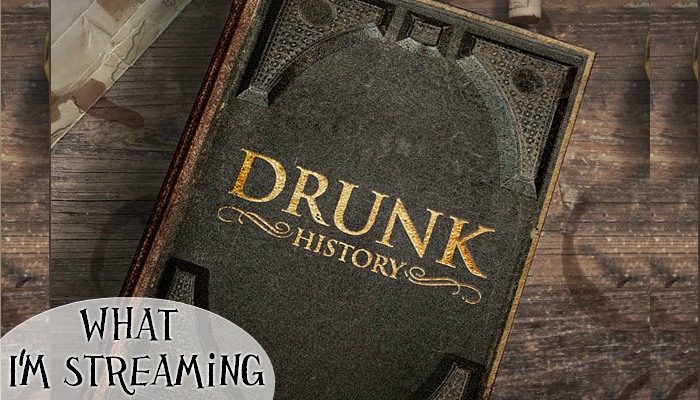 Drunk History is the perfect example. It's not exactly a gem, but it's certainly a show worth note. I've never been a 'drinker,' in fact, Momma taught me long before I had my first drink, that watching drunk people was much more fun than ever being drunk one's self. Any of our family gatherings, where libations were present were always present is case and point. When great grandma bea began tossing back her 'margaritas' nobody was safe from the sharp tongue and muddled recollections of their childhood. In a sense that was our family's version of Drunk History. 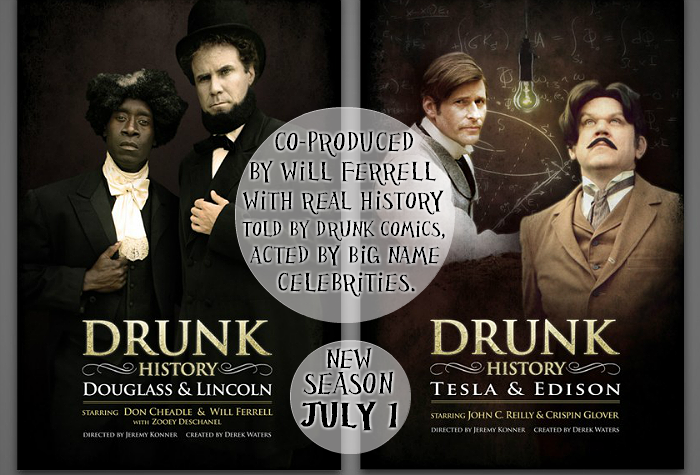 Now, Drunk History, the show, is precisely as it sounds, but presented in a much more intelligent way. Primarily comedians, of varied notoriety, are given an except of factual historic events to read and recall prior to their filming. They are then handed several helpings of alcohol, until they fail a sobriety test, and asked to recall the short historical tale in the comfort of their own home. Think of it as an adult finalizing of telephone; the individual is recalling the simple tale, but is drunk so they are often distracted, left filling in holes of their memory, and given to add-lib. This is all, of course, filmed for posterity. The real entertainment comes in when big time comedians and actors step up to play the roles of the historic characters, with the drunken re-telling as a voice-over. This mish-mash of drunken reality and over the top acting is where the comedic genius sets in. Some of the historic tales are classic events you will know immediately, others are hidden gems of history you will find yourself truly learning. Because the show is co-produced by Will Ferrell, you can expect to see a lot of his 'usual' crew appear in cameos; John C Reilly, Michael Cera, and Jack Black lend their talents among several Saturday Night Live alumni and some unexpected stars like Winona Ryder and the Wilson (Owen and Luke) brothers. Every show is packed with big name movie stars and easy to recognize comedic stand-outs. Because the show is on Comedy Central the dialogue can get a little bleepy (and bleep they do), but the content itself isn't particularly offensive. This show is sure to please any fans of Will Ferrell, and even curate an interest in history from those just tuning in for the stars. I know I will be watching the second season July 1st! What Daughter Says: I don't drink to get drunk, but I do find funny it when people in controlled circumstances do! I think someone did mention this show to me once, but I've never seen it. Sounds funny, though! I have not heard of this show yet but it sounds hilarious! I had not heard of this one either. Looks like a good one to check out for my husband and I.
I have heard that this is really hysterical. I've not had the opportunity to see it but can only imagine the nonsense that occurs. I find this phenomena unusal. I have seen the "Drunk" while doing this on youtube as well. I admit there was a day where my friends were pretty hilarious under the influence so I guess I would check it out. My husband just stumbled across this series on Amazon Prime too. Sometimes we find it so funny we're worried we'll wake up the kids with our laughing. We found it hilarious.